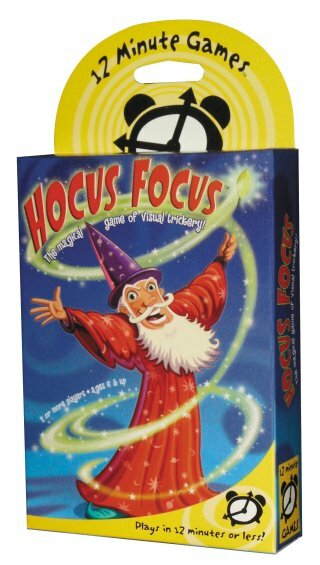 Set your sights on this fast-paced card game of visual trickery. Look carefully at the cardsâ€”the small, medium and large wizards all appear the same but are actually slightly different. Be the first to spot a wizard that has nothing in common with the one in the center and "Kazaam!" you keep him. The player who captures the most cards is the wizard whiz!